After earning my Masters degree, I started my career working with children who displayed developmental delays and I served as a Developmental Therapist working in early intervention. I did in home services and this is where I realized that I belong in a field where I work with children. From here, I narrowed my scope and found a job working with individuals with Autism. This agency (located in Indiana) motivated me to continue my education to obtain the additional course work to become eligible to be a Board Certified Behavior Analyst. I served as a BCBA and oversaw therapists and a case load of children for both in home and center based clients. 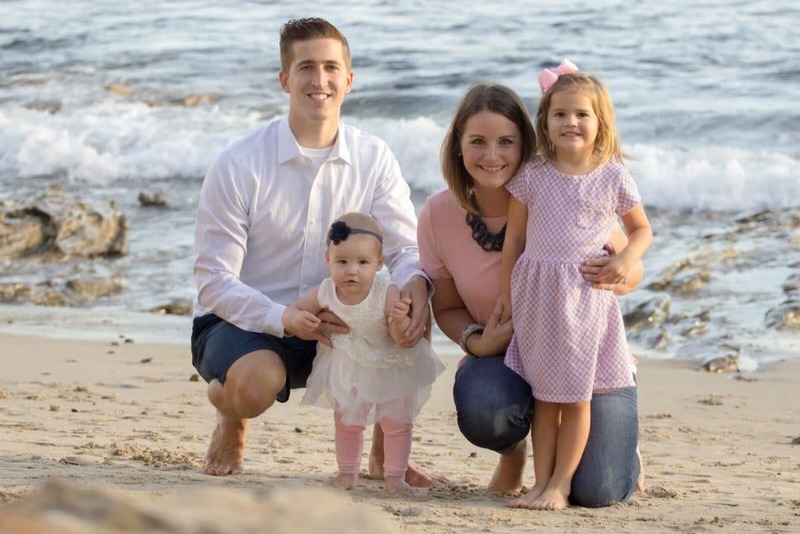 In 2013, my husband got an opportunity to be relocated to Huntington Beach, California so I took a leap of faith, packed up my house, said good-bye to my job that I loved and headed West… Did I mention this was all with a one year old little girl? During the whirlwind of a relocation, I somehow stumbled across a job posting for a faculty position at an online University for a Behavior Analysts teaching graduate level courses and applied for the position. The stars aligned, they offered me the job and I started the position right away. Not only do I enjoy the field of ABA, I LOVE teaching others about it so it was a perfect fit…. The best part; I get to do it all from home while taking care of my babies. It is the PERFECT job for me! So… How did I end up here? I have always had a passion for parent training and disseminating the field of Applied Behavior Analysis. I have found that with having my own children, I use the science of ABA on a daily basis so why not try to share my own tips and tricks with all of you? Parenting is hard enough as it is so if I can share just a little bit of information that could make the ‘day to day’ parenting go a little smoother for others, I am happy to do so .